An outpatient clinic or a department is one where patients can be treated for their illnesses without having the need to stay at the medical organization conventional outpatient clinics have provided treatment options for common ailments or medical issues that have a swift diagnosis and cure. Modern outpatient clinics have evolved to provide a wide spectrum of treatment and diagnostic options and even minor surgical procedures. The outpatient clinic can form a vital body of any healthcare organization, as they can be places where doctors can perform immediate diagnoses as well as follow-up treatments for regularly visiting patients. More and more outpatient clinics around the world have started offering additional treatments or services for pain relief as well as rehabilitation which also drive the growth of outpatient clinics market. The more common types of additional features that may be found in outpatient clinics today, include surgery centers, imaging centers, lab centers, physical therapy centers, medical equipment rental facilities, GI diagnostic centers, and radiation therapy centers. Outpatient clinics may also provide additional services depending on the specializations held by the medical personnel in the facility. This can include cardiology or orthopedics, for instance. It is not uncommon to find highly trained and skilled medical personnel in modern outpatient clinics, due to the highly demanding job it has become. Many outpatient clinics today also provide added comfort to patients in the waitlist. Clinics can possess comfortable seating arrangements, coffee shops, public telephones, snack shops, gift shops, and quiet rooms. Outpatient clinics or centers are medical facilities that offer medical as well as diagnostic treatments to patients who are suffering from several medical conditions. These clinics provide treatment that does not demand overnight stay the medical facility. The growing initiatives by governments to create an awareness reading the benefits of outpatient clinics and to decrease the number of hospital admissions are encouraging several new players to enter the market and create a niche across the globe. 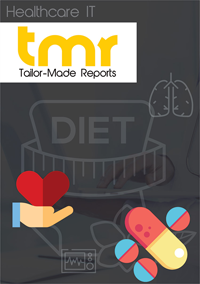 The research study further offers a clear picture of the global outpatient clinics market, providing information related to the growth factors, opportunities, and the latest trends in the market. The study throws light on the key segmentation of the global market and provides the estimated growth rate and market share of the leading segments throughout the forecast period. In addition, a detailed overview of the competitive landscape has been included to offer a clear picture of the market. The growing prevalence of chronic diseases and the rising geriatric population across the globe are some of the key factors that are estimated to encourage the growth of the global outpatient clinics market in the near future. In addition, the reducing burden on the healthcare sector due to the significant reduction in the daily patient admissions is projected to supplement the growth of the market in the near future. On the other hand, the strict regulatory framework and the lack of doctors to attend patients are estimated to restrict the growth of the market in the near future. Nevertheless, the robust development of the healthcare sector, especially in the developing economies is expected to generate promising opportunities in the forecast period. According to the research study, North America is expected to lead the global outpatient clinics market throughout the forecast period. This region is estimated to register a progressive growth rate in the near future, owing to the rising government initiatives to reduce hospital admissions. In addition, the tremendously rising healthcare spending, availability of advanced healthcare infrastructure, and the abundant availability of necessary funds are some of the vital factors that are projected to encourage the growth of the North America outpatient clinics market in the next few years. Furthermore, Asia Pacific is expected to witness substantial growth throughout the forecast period, thanks to the rising lucrative opportunities. The growing focus on the development of healthcare infrastructure and the growing popularity of medical tourism are some of the other factors that are predicted to encourage the growth of the Asia Pacific market in the coming few years. With the rising number of players, the global outpatient clinics market is expected to witness intense competition in the near future. Some of the prominent players operating in the global outpatient clinics market are M D Anderson Cancer Center, Kaiser Permanente, Cancer Center, Memorial Sloan Kettering, Mayo Clinic Scottsdale AZ, Davita, University of Maryland Medical Center, National Health Service, Johns Hopkins Medicine, and Clevel and Clinic.